We at Purcell Store, Inc. are committed to providing quality service and expertise in helping you with your next firearms purchase or sale. 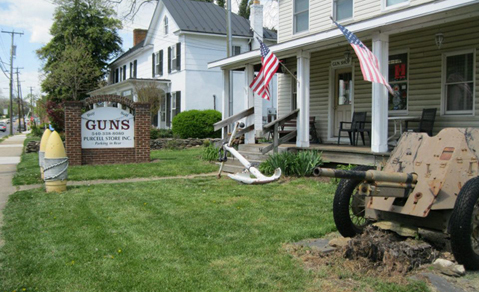 Our shop carries both new and vintage firearms, ammunition and accessories. Some of the brands we carry are Kimber, Ruger, HK and Glock as well as vintage weapons such as Garands and Mausers. As a Class 3 firearms dealer we also offer a varying stock of machine guns. © 2018 Purcell Store, Inc.